There are a lot of ways to go for a long distance tour. These days, offerings are plentiful when choosing a steed to gallop your way across the country. There are even a few liter bikes that come equipped with cruise control, if you’re into that sort of thing. From dedicated six-cylinder sport tourers, to Dakar inspired adventure bikes, there has probably never been a better time to choose a touring motorcycle. 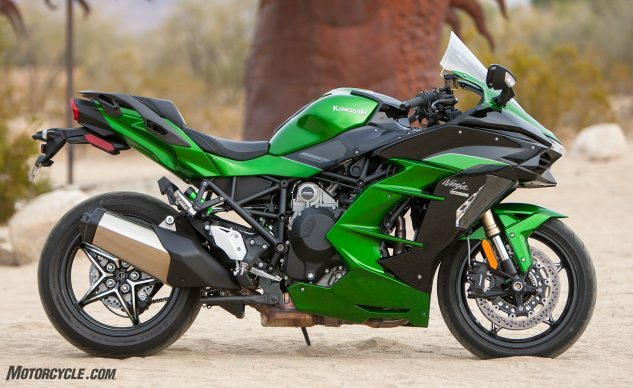 We’ve put together a list of the 10 best motorcycles for long distance riding. If you think we’ve left anything out, which is bound to happen when choosing only 10, leave them in the comments section below. KTM’s lineup of what the company categorizes as Travel consists of the 690 Enduro R, 1090 Adventure R, 1290 Super Adventure S, and 1290 Super Adventure R. The two 1290s are equally set up for touring though we opted to include the R version in this list to differentiate it as not only a touring bike for long distances, but a motorcycle that will take you further than the pavement allows. With its off-road focused 21 x 18-inch wheel combination, there are plenty of tires from street-biased to pure knobbies that you can fit onto the big Katoom. When it comes to eating up miles, the Adventure can hang with the best of them, on or off-road, with its neutral seating position and laundry list of touring features including a 6.1-gallon gas tank, adjustable windscreen, cornering LED headlight, big ‘ol TFT display from which you can view plenty of trip info, connect to your phone, and use the KTM My Ride feature, and of course, cruise control. You’d be a fool not to consider this bike for your next transcontinental excursion, unless you’re just not comfortable with a 35-inch seat height. Lux touring at its finest. 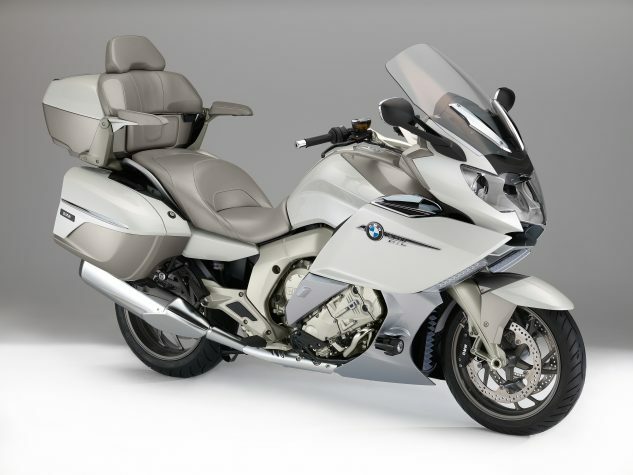 The BMW K1600GTL exudes luxury sport touring while feeling like a precisely engineered German machine. The star of the show, the 1,649cc inline-Six, is smooth and ready to deliver a claimed 160 horsepower and 129 lb-ft of torque at the twist of a wrist. The GTL is equally adept on twisty canyon roads as it is gobbling up miles down the highway. The electronically adjustable suspension soaks up road irregularities with ease, providing one of the most compliant and cush rides we have experienced, all the while allowing the ride to be tailored to the pilot’s preference at the push of a button, er, wheel in the BMW’s case. Navigating through the plethora of adjustments and information is mostly done with a rolling wheel interface on the left-hand switchgear. 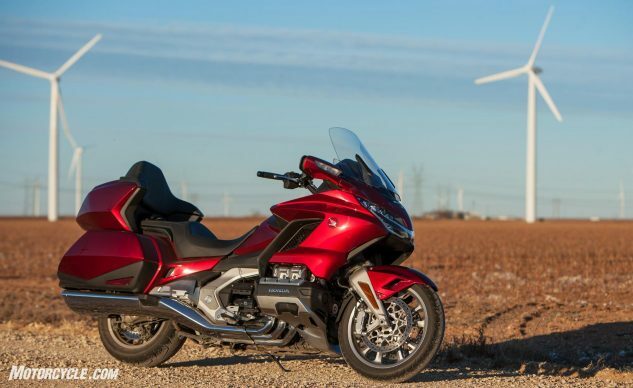 The K1600GTL dethroned the Gold Wing in our last big touring shot, and it’s pretty easy to see why. Ah, the Honda Gold Wing. A juggernaut in the touring market since its inception in 1975. 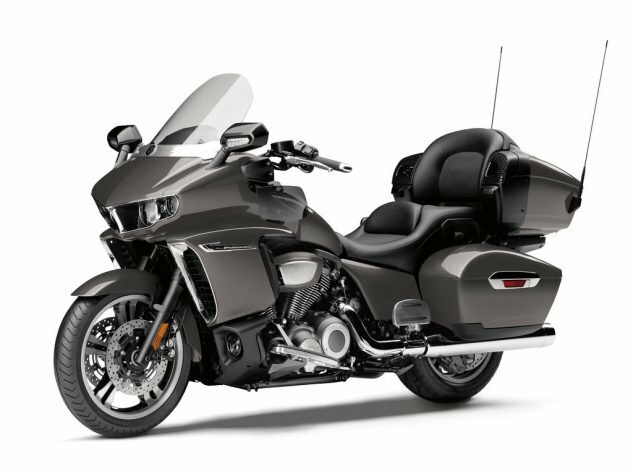 The Gold Wing has long been held as the gold standard in touring motorcycles, providing its riders with the utmost comfort and wind protection while offering Honda’s exceptional engineering to keep the behemoth feeling much lighter than it should. 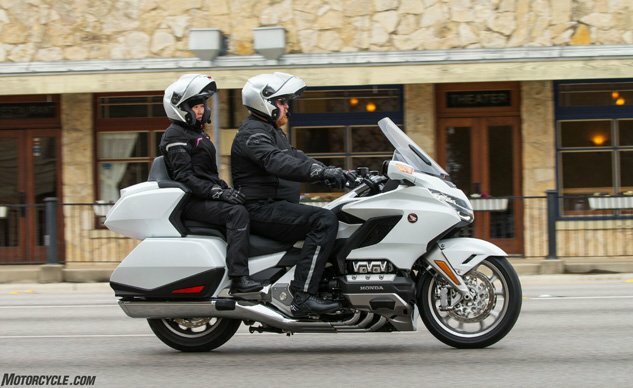 Now in its newest iteration, the Gold Wing can be had with Honda’s automatic transmission, known as DCT which is particularly convenient for touring. Evans Brasfield and our dearly departed (from MO) Sean Alexander spent quite a bit of time on the new Gold Wing, Alexander at the press launch two-up with his wife, and Brasfield on the Nuclear Tour bringing the Wing home from Texas. 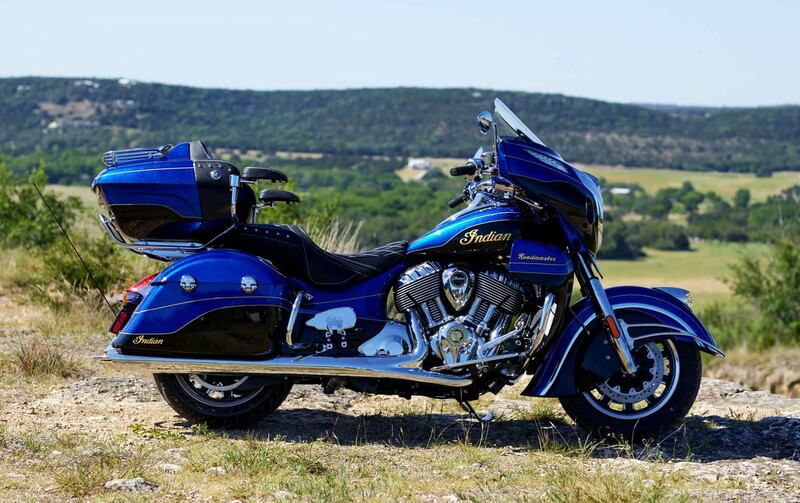 As Evans states in the dual-story write-up: “impressions of the Gold Wing Tour stand out as remarkably positive”. The only flack the new Wing seems to be getting is for the reduction in storage space, an odd choice for a touring bike until you consider Honda shrunk the entire machine. Having spent a fair amount of time both solo and two-up on the Yamaha Eluder – basically the Venture sans trunk and a few features – I would be happy riding either model for months on end, of course the extra storage and backrest would be preferred for a passenger. The 1,854cc beating heart of the Yamaha Venture is addicting. The low rumbling bass coming from the exhaust is unmistakably V-twin, yet in a class of its own. The massive torque delivered smoothly through the belt drive is more than enough to pull you and your passenger up winding roads in to Yosemite or the Black Hills of South Dakota. Though the front of this bad boy looks like a `60s muscle car, modern niceties can be found behind that monstrous nostalgic fairing in the way of a large central screen giving access to navigation, Bluetooth, trip info, Sirius XM and all sorts of other information. Also found on the big touring machine are two alternators delivering 750 watts, heated everything, four speakers with dual-zone audio control, storage cubbies all over the place, fog lights, and a security system. If you fancy yourself some V-twin touring, this is the most high tech way of doing it. Nothing will make you feel more American than rambling down a lone highway with a pulsing Harley-Davidson V-Twin rumbling beneath you. H-D’s new Milwaukee Eight can be found in 107 cu in and 114 cu in variants and provide ultra-smooth torque synonymous with the brand. The classic Harley Electra Glide has been a staple of American motorcycle touring for decades. 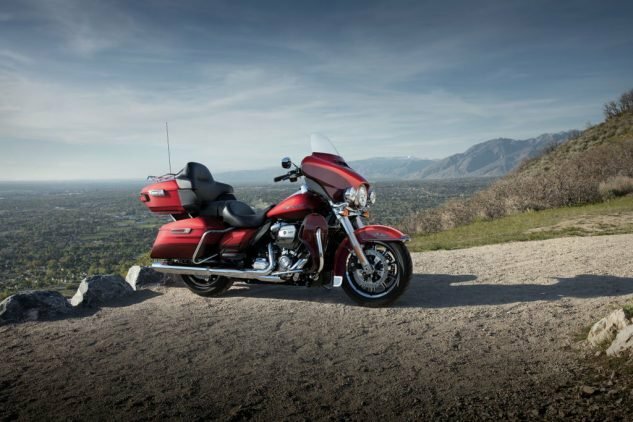 Companies like EagleRider Motorcycle Tours & Rentals have sculpted their business around the world’s interest in riding American motorcycles in America, and it’s no surprise. I’ve never owned a Harley, yet I still get excited to ride one any time I get the chance. It’s an experience of its own. Not really a touring guy? More interested in sport, than sport touring? The Kawi H2 SX SE might be the perfect blend of supercharged performance with touring accouterments. It’s a touring bike with a supercharger, launch control, and a quick shifter, or maybe it’s a sport bike with a larger windscreen, LED cornering lights, comfortable seat, heated grips, and centerstand. If your idea of touring involves warp speed, the H2 SX SE will have you doing so luxuriously. 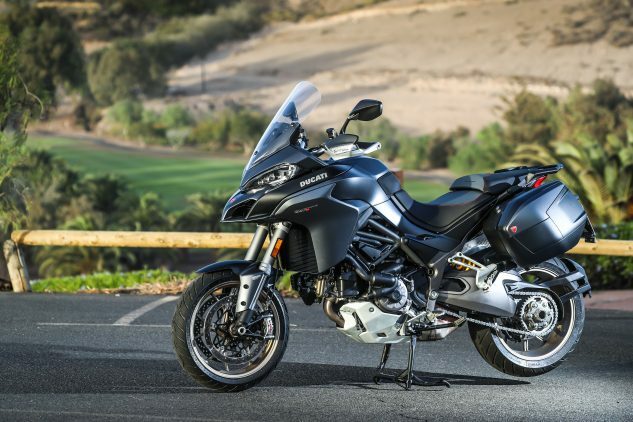 The Multistrada is Ducati’s answer for those Ducatisti looking to travel in comfort with all the raucous performance that the unrelenting Italian manufacturer has built into its bikes since the beginning. 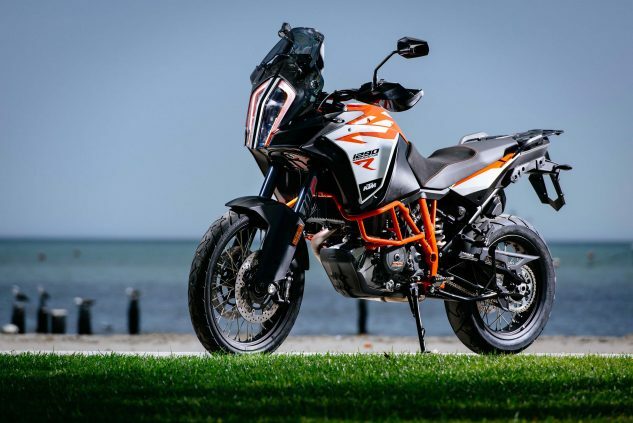 As you first flick the Multi 1260 onto its side through a corner, you’ll be amazed that a motorcycle the size of this could possibly handle so closely to its sportier counterparts – and don’t get me started on the engine. It has performance for days with torque to make it all practical or at the very least to launch you out of the tightest hairpin corners with ease. The ability to adjust the engine character and suspension coupled with the laundry list of acronyms used to describe all of the tech crammed into the Multistrada make this truly the Swiss (Italian?) army knife of Ducatis. The Turismo Veloce is another long-legged Italian stunner in the touring realm. It’s the lightest, most agile touring bike on this list and the Turismo also comes in with the least cubic centimeters, though if you’re a fan of Italian sportbikes and intoxicating exhaust notes, the MV is worth a look. 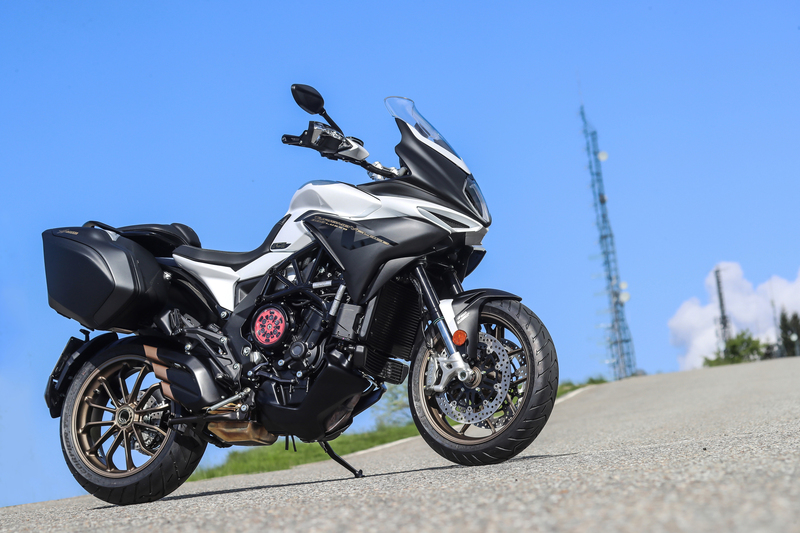 We included the all new Turismo Veloce 800 Lusso SCS because it is the company’s top-of-the-line touring model – equipped with luggage, heated grips, electronic suspension, and adjustable ride modes among other touring bits. What also makes the Lusso intriguing is that little red circle visible through the lexan clutch cover. For the first time ever we see the American company, Rekluse who is well known in the off-road segment, team up with a manufacturer to develop the Smart Clutch System (SCS) found on the Turismo Veloce 800 Lusso SCS. For a long time, if you wanted an American touring bike, you had one option. Ever since Indian burst back onto the scene in its most recent iteration, the company has been producing great bikes with even better motors. Backed with the R&D department only a large company could provide (Polaris), Indian has produced two fantastic motors and built a model range around those two to rival its competitors. The Roadmaster is an undoubtedly big touring machine, but it will eat up a thousand miles for dinner and go back for seconds, all the while having the latest and greatest available for sound, ride and bike information, and navigation all available in the fairing mounted screen. Going two-up? There’s a big cushy seat for your passenger, too. I’ve spent hundreds of miles on the Tiger touring two-up to solo riding through Jeep trails and I’ve come away very happy with the Tiger 1200. 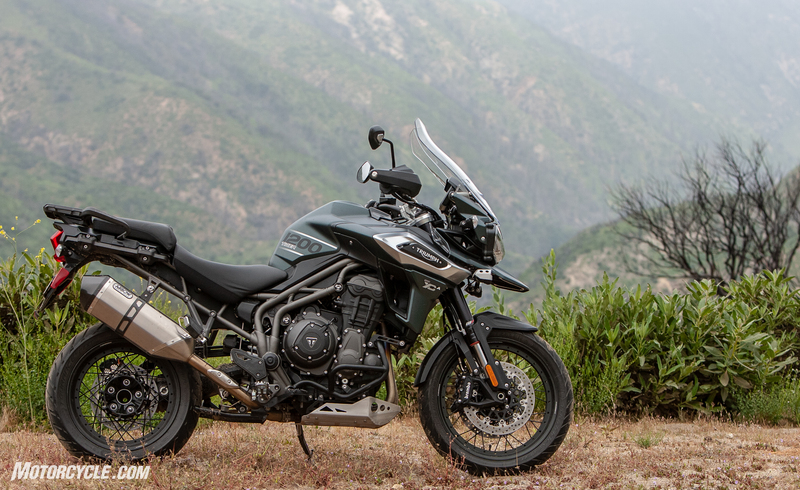 The 2018 XCa model is certainly one of the more road-biased adventure bikes, and that’s just fine because you can adjust power modes and suspension for touring or sport on road, then flip to off-road setting when the pavement ends. It’s an adjustable steed with a fantastic Triple engine and relatively maintenance-free shaft drive. The model we rode came equipped with heated seats fore and aft, heated grips, fog lights, skid plate, and a beautiful TFT display from which to read all sorts of information. One of my few gripes is the small-ish (in relation to other ADV bikes in the category) gas tank. It’s so comfortable, you could definitely keep riding further than the tank will allow.